This vintage 1940’s Solar Aqua is one of the best examples you will ever find, measuring a full sized 34mm., with the TUDOR OYSTER case made by ROLEX! 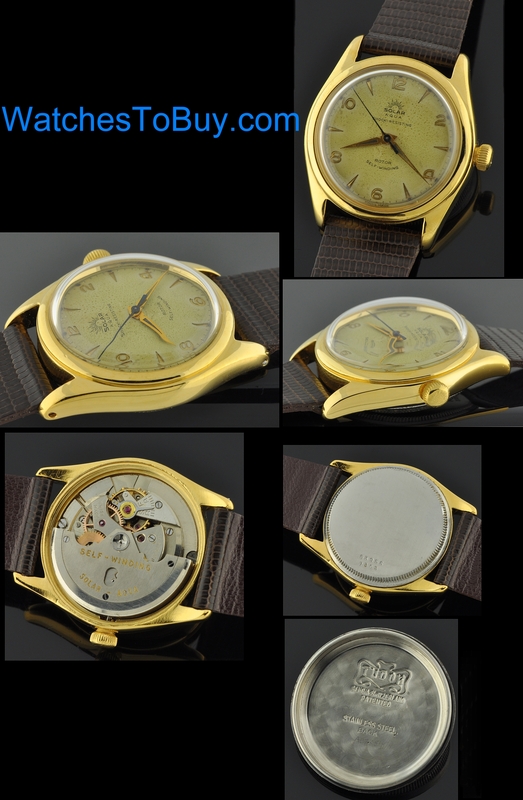 These watches were produced by ROLEX for the Canadian department store “Eatons” and are highly collectable. This dial is quite sought after…12, 9, 3 configuration with radium, dauphine hands and raised, gold toned markers and blued steel sweep seconds. 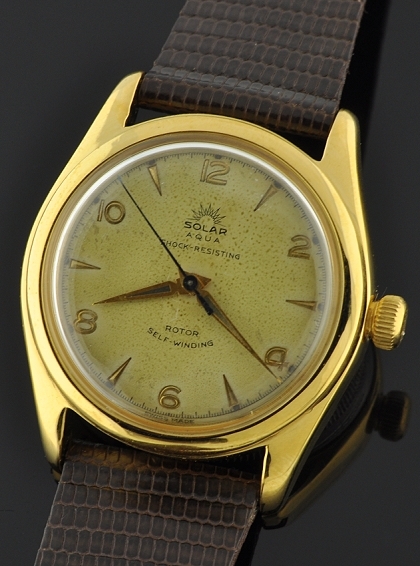 This watch retains its original OYSTER PATENT crown that is valuable on its own. The original and uncommon automatic movement is made by ROLEX and is all original, (TUDOR CALIBER 39) with signed rotor) fully cleaned, serviced and accurate. Normally, we find these with manual movements. This is a fabulous, full sized and uncommon example!